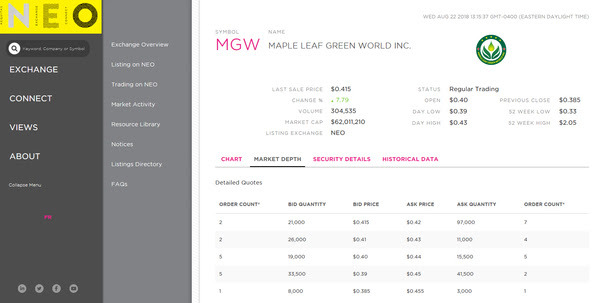 Trade MGW.TO on Aequitas NEO today! This is a good stock, with strong retail investor interest that would benefit from more liquidity. For more information, please see the the Maple Leaf Green World official website and news page.